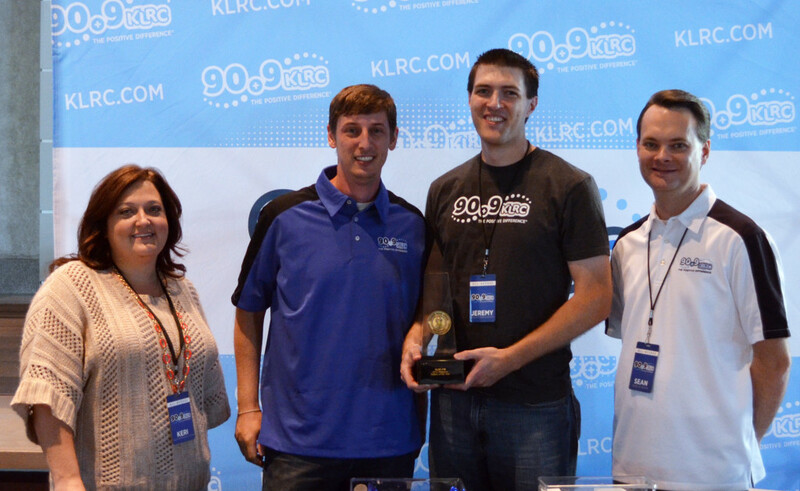 90.9 FM KLRC has been named Religious Station of the Year at the 2013 National Association of Broadcasters’ Marconi Radio Awards. The awards were announced Thursday night at the annual NAB Marconi Radio Awards Dinner & Show held during the Radio Show conference in Orlando, Fla. The NAB Marconi Radio Awards honor radio stations and on-air personalities for excellence in broadcasting. The NAB has been honoring radio stations with Marconi Awards since 1989. The award is named after inventor and Nobel Prize winner Guglielmo Marconi. Marconi finalists were selected by a task force of broadcasters and the winners were voted on by the NAB Marconi Radio Awards Selection Academy. This year KLRC celebrates 30 years of radio ministry. The station was able to increase signal power to 100,000 watts earlier this year, which has expanded the reach of the signal well into Oklahoma and southwest Missouri. 90.9 FM KLRC is a non-profit, listener-supported, radio station located in Siloam Springs. KLRC broadcasts in Northwest Arkansas at 90.9 FM, 101.1 FM, 103.5 FM in Springdale, 99.1 FM in Bentonville and worldwide at www.KLRC.com. KLRC is a ministry of John Brown University. KLRC staff Keri Lynn, Mark Michaels, Jeremy Louis and Sean Sawatzky show off the Marconi Award during a 30th Anniversary Celebration for the radio station.